"Bellows" seal with a conical, ringed neck. The rings provide additional water tight integrity by serving as miniature o-rings against the skin and the taper allows for a more comfortable fit. 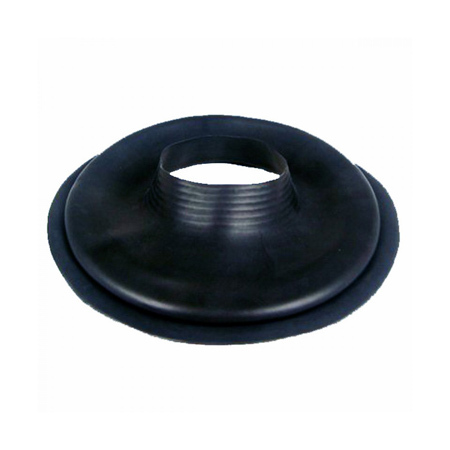 The bellows portion allows the user more freedom of movement than a traditional tapered seal. The thickness has been worked out to be thick enough to last and thin enough to give a comfortable stretch. Fit 8" diameter drysuit neck opening.